While surfing the internet for information on prayer shawls, I came across this artist: Emily Biondo. 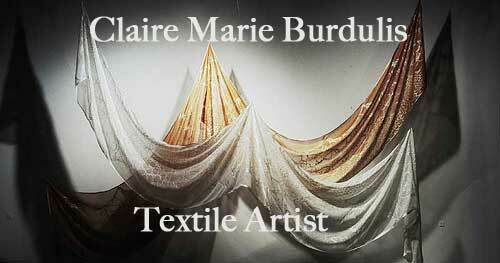 Discover her Weaving Sound collection in her portfolio. Her audio textile installation work intrigues me. Settling in took longer than expected. Life is on a new track. It's time to crack open some storage boxes, and restart the studio.